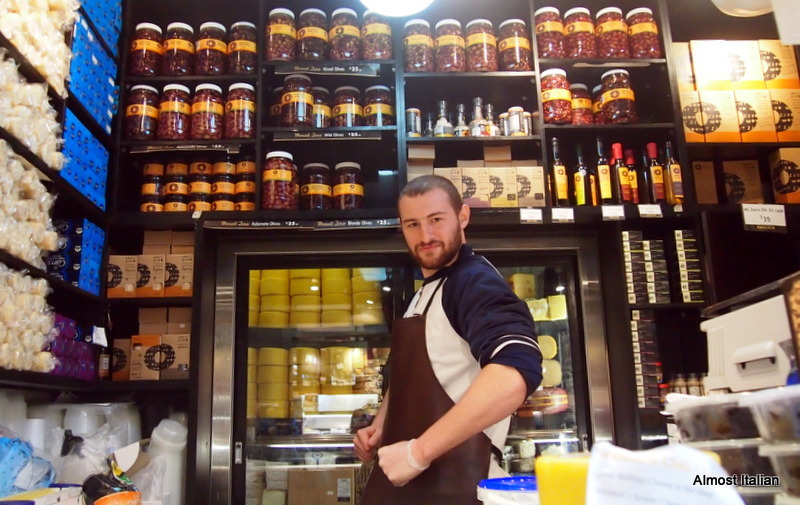 A trip to the Queen Victoria Market is a one way ticket to Il Paradiso or L’ Inferno. I arrive and never want to leave these acres devoted to food heaven and hell. Known locally as the Vic Market, it is a major landmark in central Melbourne, a top tourist destination, and a national treasure. At around seven hectares (17 acres), it is the largest open air market in the Southern Hemisphere. The space is divided into different halls and sheds. 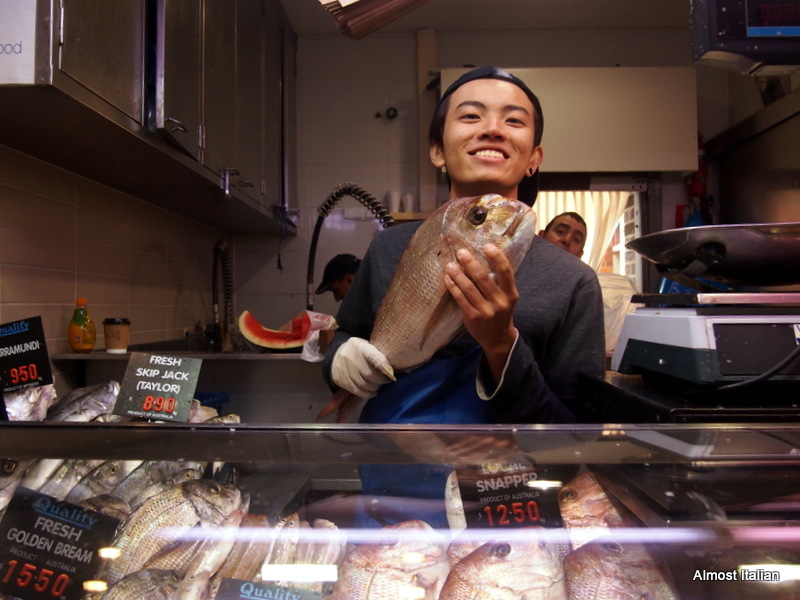 The fish area houses ten or so different specialist fishmongers offering the freshest catch in Melbourne. This section has diminished over the years but the quality has improved. With quick turnover and now correct labelling with regard to source, it is worth a tram ride to shop here on a weekly basis. But it is so hard to choose. 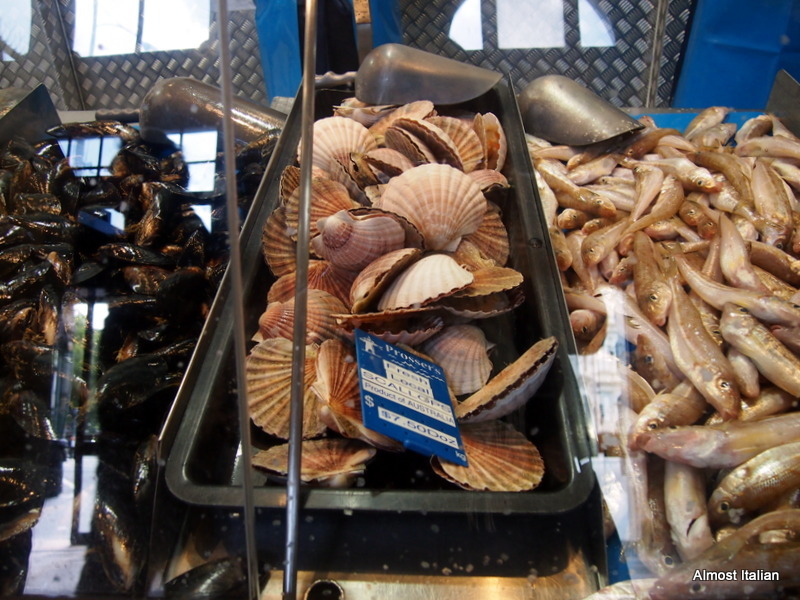 Will I have those baby snapper, the freshly shucked oysters from Coffin Bay, or the lovely scallops still in the shell? Hmm, fresh baby calamari. All too tempting. 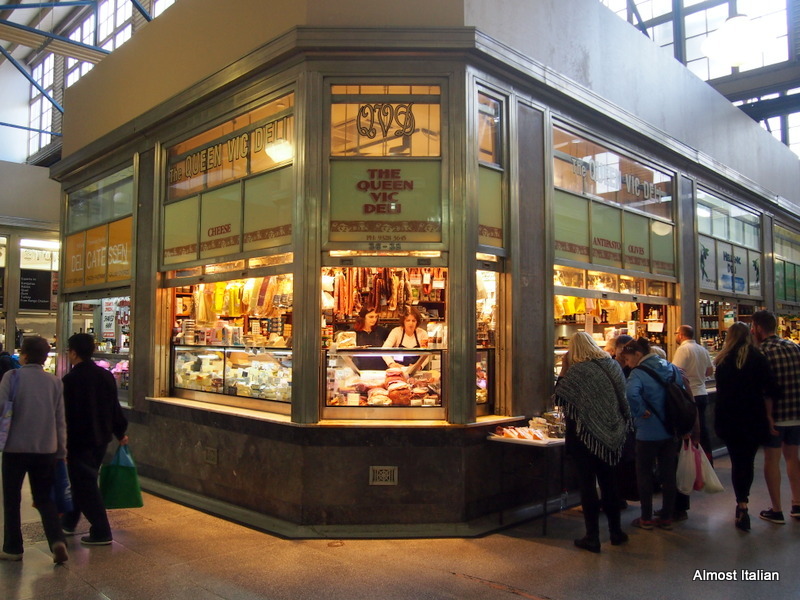 The Vic Market Deli comes next, which is housed in a hall of Victorian glass fronted shops and tiled floors. You may go there with a list, but I guarantee you won’t stick to it. My levels of greed and gluttony soar to unholy levels. This Deli Hall is a wicked place indeed but at least I can’t be accused of eating too daintily so there’s hope for me yet. I came here especially to buy a large jar of Mt Zero Olives from the Grampians region of Victoria as these mixed olives last forever in the fridge. A little scoop here and another one there provides a lovely drink snack. No need to marinate them or tart them up with herbs and garlic. They speak for themsleves. The young vendor is keen to be in my picture too. Cheese was not on my list, and yet I was tempted, severely. I was lucky enough to stop after purchasing three small delicious wedges. 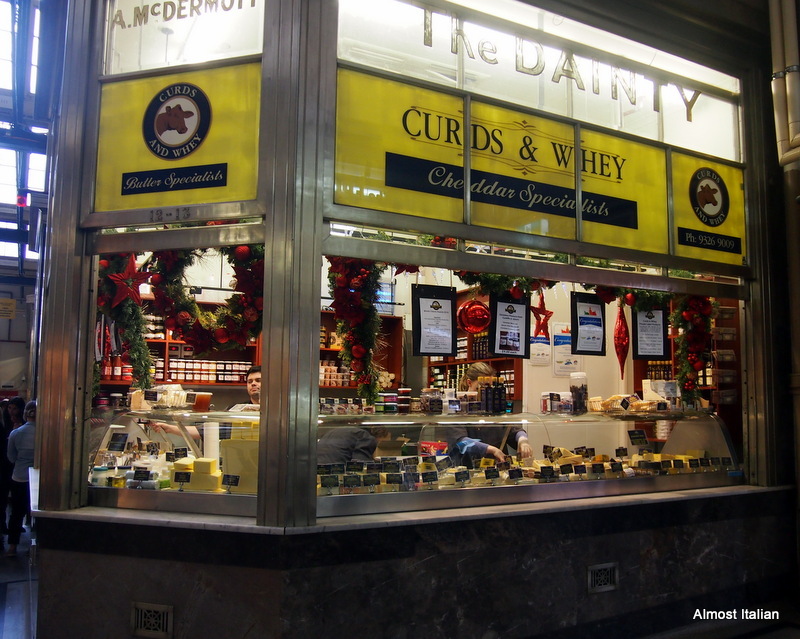 This is the place to find Christmas treats. Oh yes, I might be accused or eating too expensively, Sir Thomas. Just to tuck away, in anticipation of guests. And then there’s the row of takeaway instant treats. The Bratwurst shop is famous and has been there for at least 40 years, but my favourite is the Borek shop. Still, I find it hard to choose: I want it all. Perhaps I have I eaten too soon, Mr Aquinas? After the deli, the acres devoted to fresh fruit and vegetables beckon. My mind races as I obsessively anticipate the meals that could be made. I stand accused of the sin of gluttony every time I enter the delectable land of The QueenVic Market. Get me there…this is my idea of heaven! Jane, it’s a buzz you must come down. Oh dear, I really don’t need to be reminded of the sins of gluttony at this time of year 🙂 What fabulous produce though! I know, it is so fabulous, but well, I pay my dues in lentil meals! Oh very holy. Straight to Paradiso Mrs Golden Pudding. Now you can lash out on some cheese later. You are, indeed, a lucky girl! A wealth of food at your doorstep (or at least at the end of a tram line). I love the Thomas Aquinas definition and categories of gluttony. I get really excited when I am in that fish hall and deli and it is only the tram trip that restrains me from total gluttony. Ahhh I LOVE this place SO much!! Your pictures are great too! Great post! 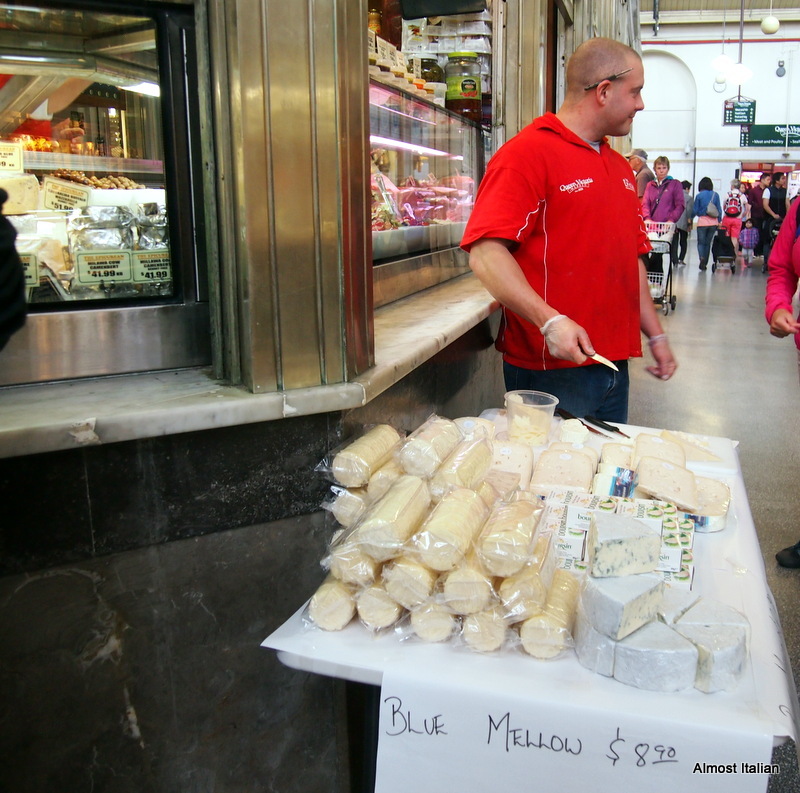 I’m in Melbourne regularly, but always for work, must sneak away to the markets one of these days! Yes, put it on your agenda. Sneak away. Tell them you are doing research. Great post! 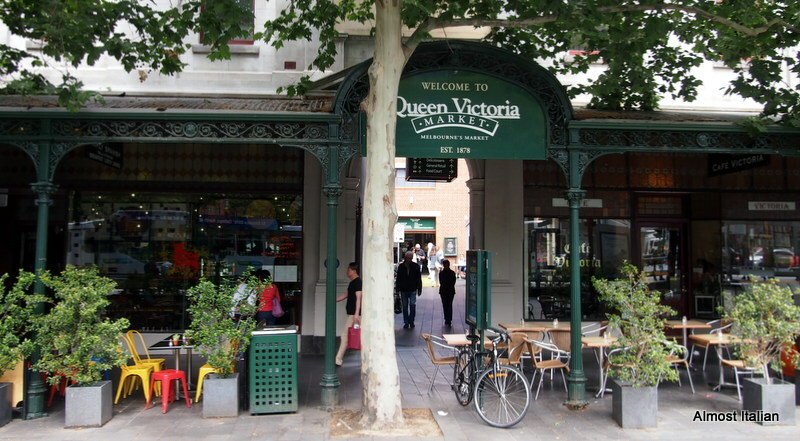 I love the Vic Mkt vibe too, though it’s just a bit awkward for me for weekly shopping. A huge shopping jeep full of veg and the tram are not really compatible. Prahran Mkt lacks grit! I think Sir Thomas Aquinis was looking at me! I think he must have been. But being close to the Prahran Market is a bonus. Yes, a big facelift – it is gorgeously old but lovely too. I like your style- oysters on the go. Hmm, I wish I had some right now. Ahhh, those bratwurst! Must be about time a did another visit down there. I just hate the rest of the city and avoid going there unless really have to. From the market to the cooking equipment shop. Heaven! Mrs Cheery, Tom forgives you, although your memories of this great place may border on the sin of Lust and Envy. Previous Previous post: Sourdough Diaries. White and Spelt. Next Next post: Hot Summer Nights. Calamari Fritti in Fretta.